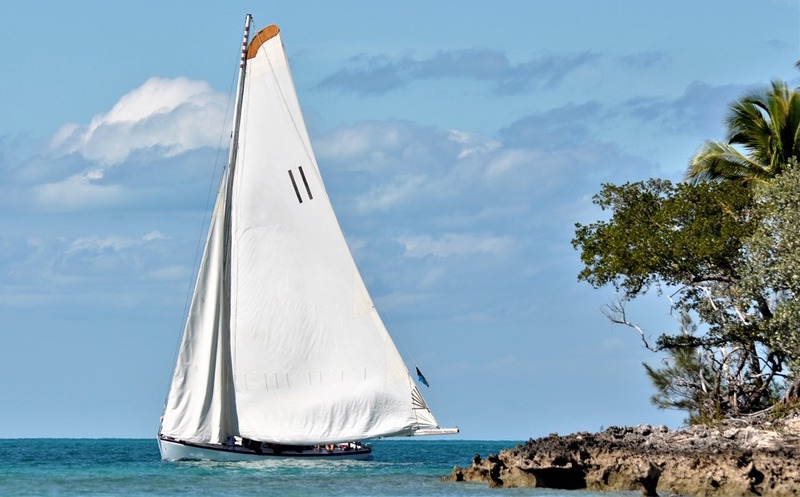 A perfect Bahamian Day – glorious sunshine and a light breeze. 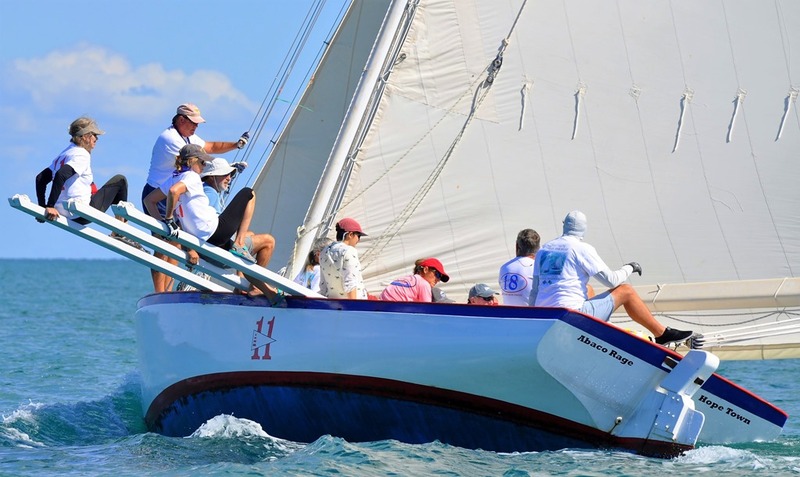 We are aboard the Abaco Rage, a traditional Class A, wooden racing sloop built on Man O’ War Cay in 1980. No winches, no electronics, no hydraulics. Pure people power. We slide out onto hiking boards called “pries,” to balance the boat. That’s me on the far left, out at the end of the forward pries. It’s the best ride in the Abacos. We were first over the line. Look at us way out in front! We got to the line early, so our talented skipper depowered the boat by letting out the mainsail, and then – at the perfect moment – brought the mainsail back in to power up, headed Rage up into the wind, and crossed the line just seconds before the starting horn. We missed the mark at the far end of the starting line by less than 10 feet. Truly amazing. This was a point-to-point race, instead of an around-the-buoy race. 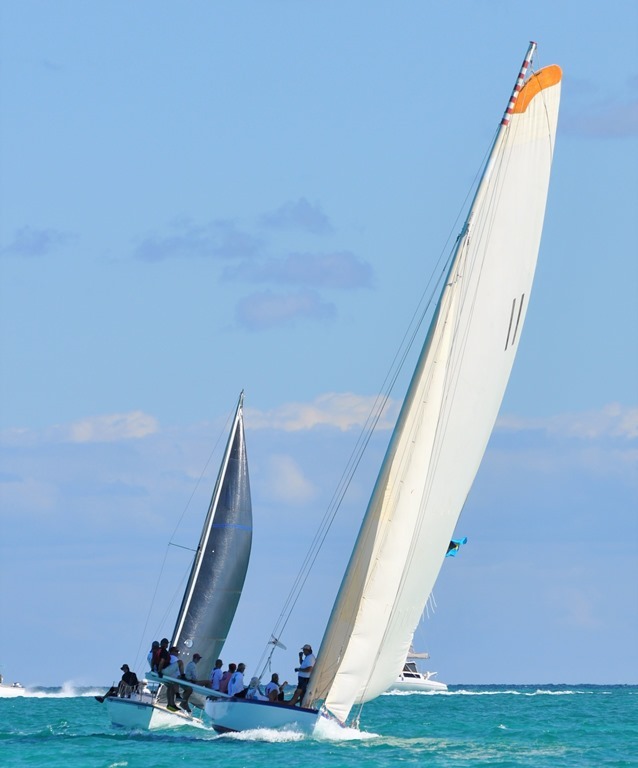 After rounding the first mark, we tacked up to Garden Island next to Man O’ War Cay. When we rounded Garden Island for a downwind leg back to the first mark the wind totally died. We drifted for a bit and the wind finally filled in. That’s me on the first pries, wearing my official white Rage t-shirt, with black pants. 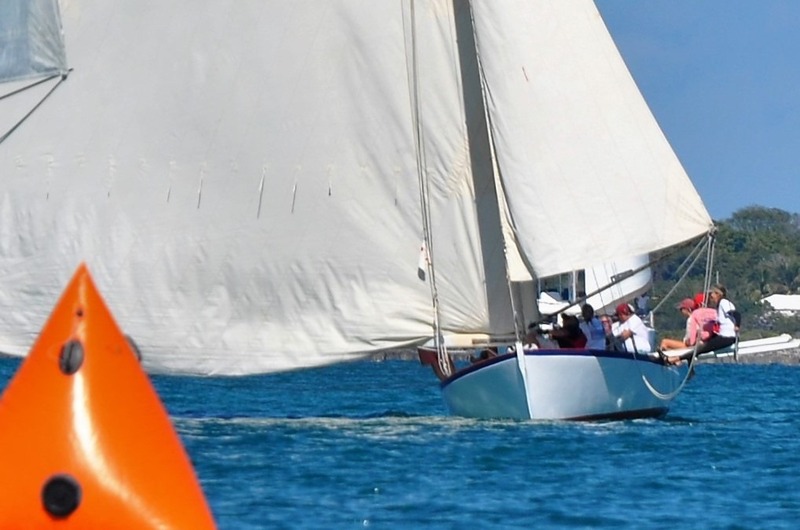 You might notice that I am trimming the headsail – wing-on-wing, meaning the mainsail is on one side of the boat and the headsail is on the other. We took THIRD in the race. A great showing for the Abaco Rage and our first time on the podium in a while. 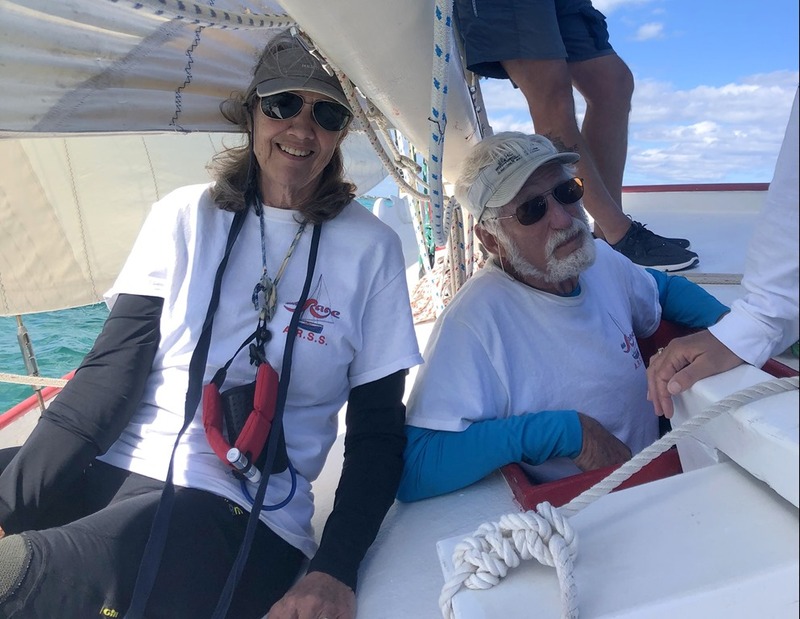 Here, Goldwin and I are enjoying the after-race as we sailed back into the harbor. Some of these sailing terms are very familiar to me now! So nice to see the photos of you two! You are definitely becoming “salty.” Good to hear from you. Thanks. It was the nicest day we’ve had in a while and we got to spend it sailing on that beautiful old boat!